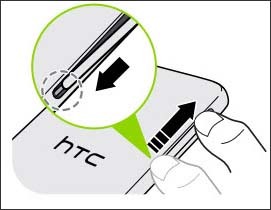 From the right edge of the device (display facing down), open the slot cover using your thumb or finger. 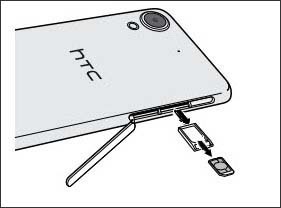 Remove the SIM card tray then remove the SIM from the tray. From the bottom of the card, carefully lift to remove.